This paste is formulated to have the least possible effect on color change from wet to dry. It remains flexible on a variety of surfaces. 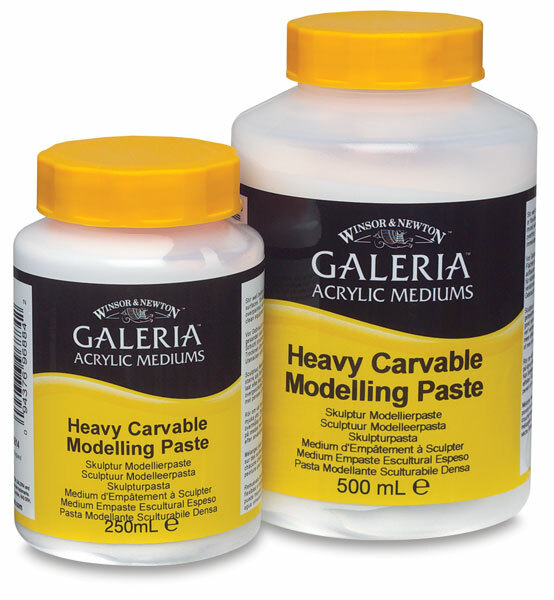 Heavy Carvable Modeling Paste — Heavy Carvable Modeling Paste can be sanded or carved on rigid or flexible surfaces. Depth can be built up in layers by allowing it to dry. It can be mixed with color or overpainted when dry, and applied with a palette knife. 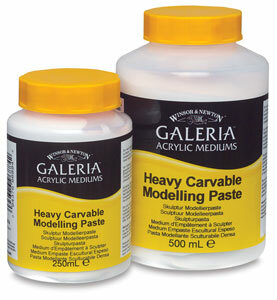 Modeling Paste — Modeling paste is a fine texture paste with soft, yet thick, sculptural consistency. Depth can be built up in layers by allowing it to dry. It can be mixed with color or overpainted when dry, and applied with a palette knife.